A Commercial Kitchen Design Project can be very challenging. 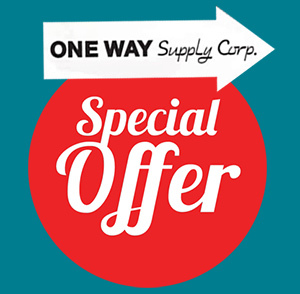 Whether you are still just in the planning stages of a new restaurant, bar or catering hall or are expanding, updating or improving your existing facility, One Way Supply Corp. of Patchogue, Long Island is here to help. Having years of experience with all types of commercial kitchen design to back us up, our staff will help you through the process of designing your kitchen. We are fully aware that kitchen facilities/sizes can vary immensely and that in turn can cause some design issues. Knowing this, we have made sure that we developed relationships with a vast array of manufacturers in the industry. These manufacturers offer the greatest number of options available to satisfy both your desires and design ideas. Fitting a grill, a griddle or more than 1 wine cooler into a small kitchen, can be tricky. Our design consultants can offer solutions to this. Kitchen design is a crucial factor in satisfying a customer. Actually, it can be a crucial factor in keeping your chefs and kitchen staff happy in addition to the overall peace behind the scenes. Part of the success of any commercial food service business is the efficiency and speed at which the kitchen can turn out the food orders. We have access to walk-in refrigerators, reach-in refrigerators, freezers, coolers, dishwashers, food racks, ranges, grills, ovens, proofers and more. Our experienced design team will work with you to maximize the efficiency of the most important part of your facility…..the kitchen. 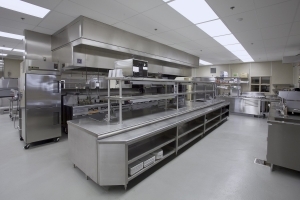 Call or visit us today, and start on your way to a beautiful, clean, efficient commercial kitchen.